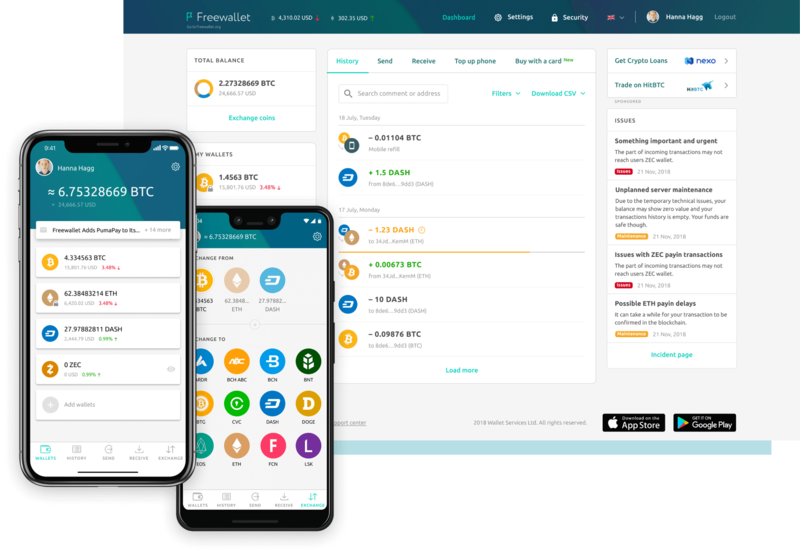 Freewallet is a guide to the crypto world created to simplify crypto specifics and make access to coins easier. 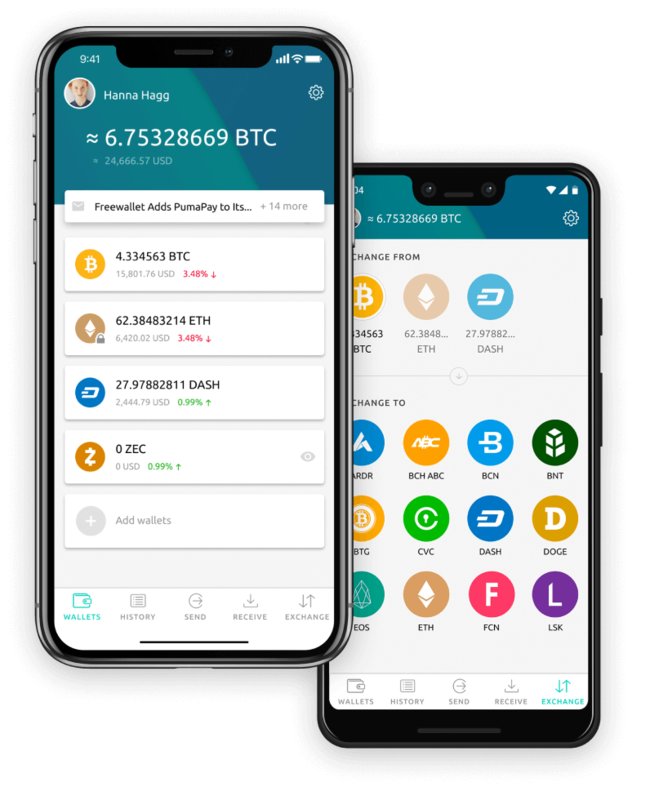 The Freewallet Family includes dedicated wallets for 30+ popular cryptocurrencies available on Android and iOS, as well as a Crypto Wallet app with a web interface. 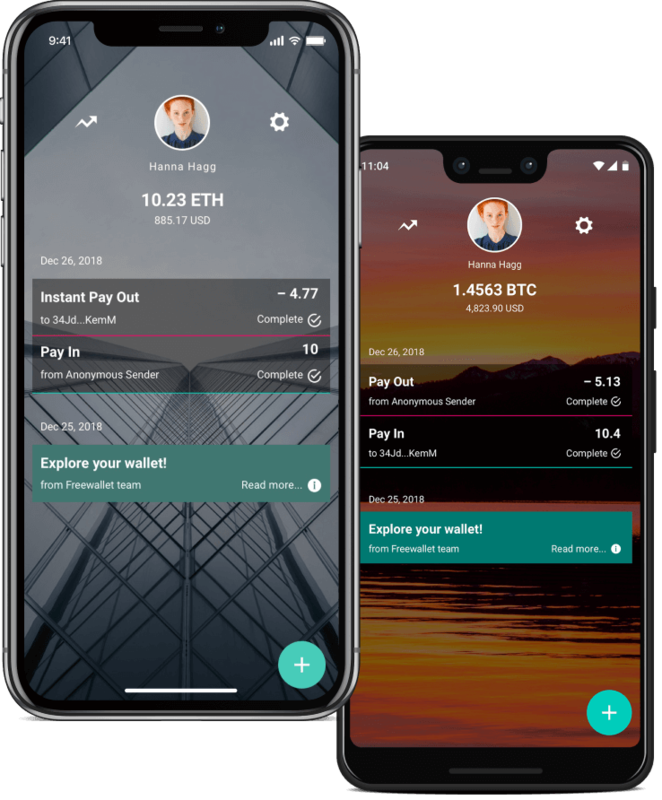 BTC, ETH and 30+ other cryptocurrencies in one wallet available as an Android, iOS and web app. 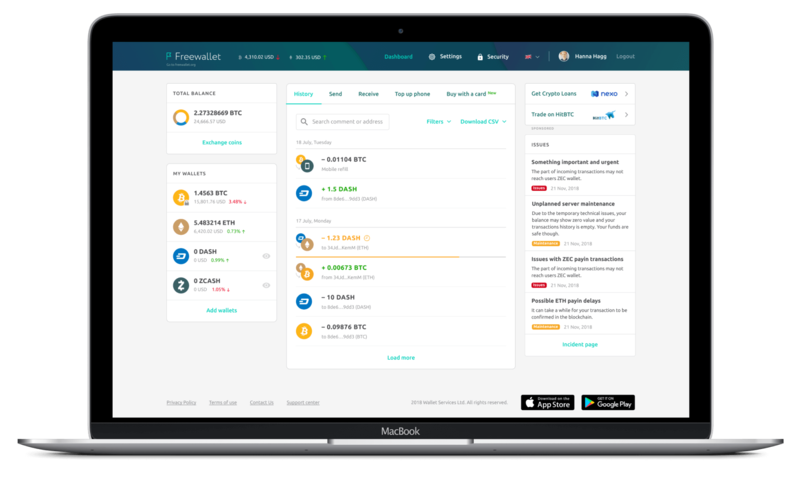 Free transfers between Freewallet users. Range of 4 Bitcoin transaction fees for fast or cheap transfers. Top up mobile phone from your wallet. Buy BTC, ETH and LTC with a credit card. At Freewallet we apply extreme security measures to keep your funds safe. 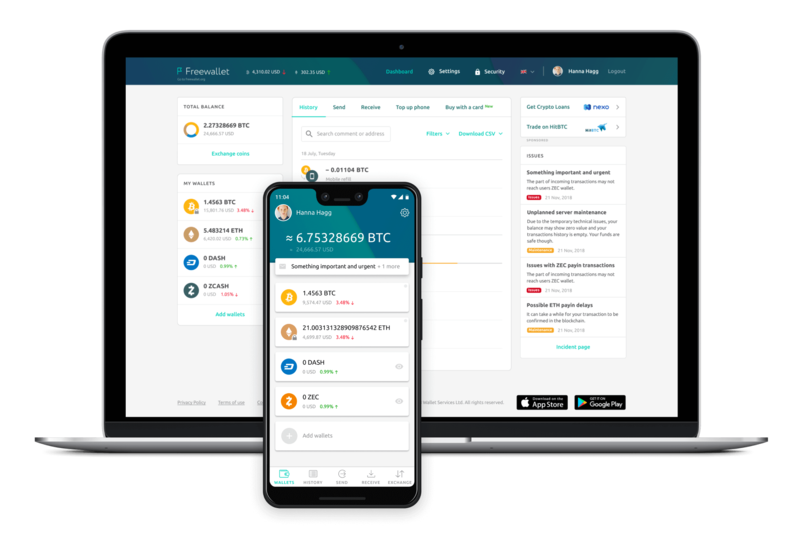 Moreover, we are constantly implementing additional and improved security features to eliminate any chance of unauthorized access to your cryptocurrency wallet. Not a fan of complex multi-currency products? Try some of our single-currency apps for an authentic mobile experience.